Refinished pine flat to the wall cupboard out of Perth County. 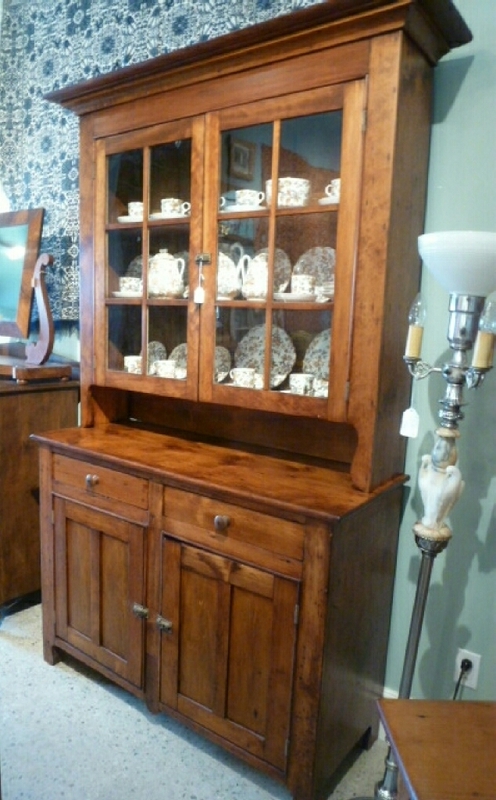 This cupboard has 12 panes with a pie shelf with two drawers and two doors below. Circa 1860.